The Greater Fort Lauderdale Convention & Visitors Bureau has named Kim Butler as vice president, marketing and communications, announced Nicki E. Grossman, President and CEO. Ms. Butler’s appointment is effective immediately. Butler brings more than 20 years of experience in marketing and public relations to her new position. She joins the GFLCVB from the NJ Casino Reinvestment Development Authority (CRDA) in Atlantic City, NJ where she served as Director of Communications since 2012. The CRDA oversees economic development and the destination’s convention and visitors functions. Prior to that, she was general manager and marketing director for Tanger Outlets/The Walk (previously owned by The Cordish Company). Ms. Butler has worked in the casino industry as VP Marketing/Consultant for Indiana LIVE!, Casino, Resorts Atlantic City, Trump Hotels and Casino Resorts, including Trump Plaza and Trump Taj Mahal in Atlantic City. Anna M. Gaffney has been appointed general manager of The Verb Hotel, a dynamic new property located in Boston’s vibrant Fenway neighborhood. A seasoned industry leader, Gaffney brings with her an extensive background in hospitality management, marketing and sales. She will oversee daily operations for the property, as well as sales, revenue management, marketing and event programming. Robin Brown, long-time Boston hotelier and partner at The Verb Hotel, has tapped Crescent Hotels & Resorts to manage the property. Gaffney is returning to her roots with Crescent Hotels & Resorts, having previously worked with the premier hotel management company for a number of years. 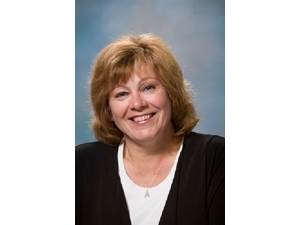 During her tenure with Crescent, she served as director of sales and marketing for multiple properties, including the Holiday Inn Manhattan View and the 400-room Crowne Plaza in Somerset, NJ. Within her first six months at Manhattan View, Gaffney increased RevPAR by 90%, and in 2010, was awarded Director of Sales of the Year. Most recently, Gaffney was director of sales and marketing at the four-star Sanctuary Hotel in New York City, where she managed sales and guest satisfaction. Prior, she served as General Manager of New York’s Gotham Hotel and Tenpenny Restaurant, where she managed all operations and sales for the 66-room luxury boutique hotel, as well as its 50-seat restaurant. In addition, she served as a one-woman sales force for the Holiday Inn Midtown 31st Street, and managed all pre-opening sales for Hyatt Place Midtown South, both in Manhattan. Turnberry Isle Miami, the legendary South Florida resort and private membership club, has appointed Jon Gersonde as managing director. Effective immediately, Gersonde will report directly to Ray Waters, President of Turnberry Hospitality Group. In his new role, Gersonde is responsible for overseeing the 300-acre property’s day-to-day operations, financial results, standards and service. An accomplished hospitality professional, Gersonde joins Turnberry Isle Miami with over 25 years of experience in the ultra-luxury hotel and resort industry. He most recently spent six years as vice president of operations for Hawaii’s Mauna Kea Resort. Previously, Gersonde served as general manager for The Royal Hawaiian, a member of the Starwood Hotel & Resort Luxury Collection. He also worked with Westin Resorts and was the general manager for various Westin properties, including Westin Mission Hills Resort & Spa in California, Kapalua Bay Hotel & Ocean Villas in Hawaii and Westin Maui. Playa Largo Resort & Spa, Marriott International’s newest Autograph property to break ground, is proud to announce the appointment of Stephanie Happ as director of sales for the resort, which is set to open in summer 2015. Happ joins the Playa Largo Resort & Spa after five years with Noble House Hotels & Resorts, of which the most recent two were spent as director of sales and marketing at River Terrace Inn in Napa, California. Rosewood at Baha Mar is pleased to announce that Jennifer Guevara has been appointed director of leisure sales of the highly-anticipated resort, which is scheduled to open December 2014 in Nassau, Bahamas. In her new role, Guevara will work with luxury leisure agents and agencies to ensure that top travel partners, including Rosewood Elite Agencies, are made to be experts on Rosewood at Baha Mar’s amazing setting and exclusive amenities and services. Guevara joins Rosewood at Baha Mar with almost 20 years of experience in the luxury hospitality industry, including over 13 years of experience with Rosewood Hotels & Resorts as Director of Sales for Las Ventanas al Paraíso, A Rosewood Resort in Los Cabos, Mexico. Most recently, she spent seven years as Regional Sales & Marketing Director for all Viceroy properties in Mexico, including the Viceroy Riviera Maya and the Viceroy Zihuatanejo. 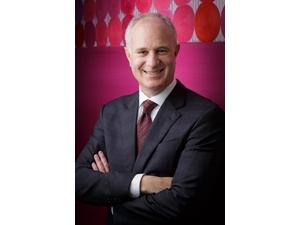 Hyatt has selected David Udell as the new group president who will lead its Asia Pacific region. 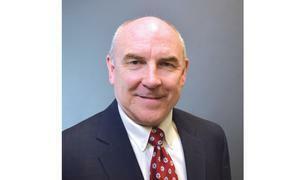 Udell will serve as Group President – ASPAC, effective July 1, 2014. Udell, who will be based in Hyatt’s regional office in Hong Kong, will join the company’s executive team and report to Mark Hoplamazian, president and chief executive officer. In his new role, Udell will oversee all of Hyatt’s activities in the region, which includes 12 countries, more than 26,000 colleagues, and a portfolio that currently consists of 61 managed, franchised and owned properties. He will lead the ASPAC development team, which is charged with increasing the company’s brand presence in key ASPAC markets. Udell will also be responsible for the successful operation of all of Hyatt’s hotels in the region. Udell most recently served as senior vice president, operations in Hyatt’s Global Operations Center. Previously, he led Hyatt’s operations in the ASPAC region from its Hong Kong office for 11 years. Udell also held other leadership roles in the region, including general manager of Grand Hyatt Hong Kong and opening general manager at Park Hyatt Tokyo, which will celebrate its 20th anniversary this summer. Udell’s career at Hyatt started in 1982 when he joined Grand Hyatt Singapore as a member of the Corporate Training Program. Udell will take over the leadership role from Larry Tchou, a 44-year Hyatt veteran who served as head of ASPAC operations for more than 32 years. 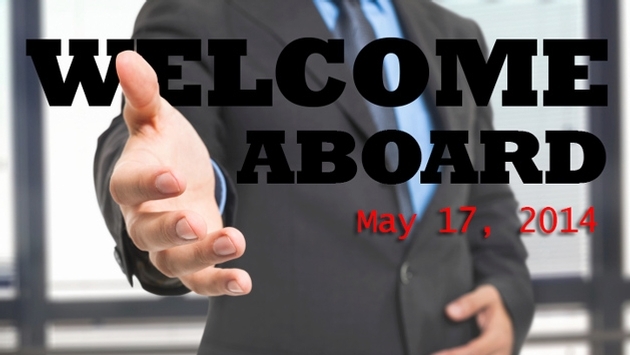 Tchou will assume a newly formed position of Senior Advisor – Greater China and will also be based in Hong Kong. In this role, Tchou will assist with the regional leadership transition and provide advice and guidance to the company regarding its efforts in the region, with a special focus on development activities and Hyatt’s activities in China.